Home » Blog » Forever and Ever, Amen – Happy Anniversary Krista Vickery! Forever and Ever, Amen – Happy Anniversary Krista Vickery! 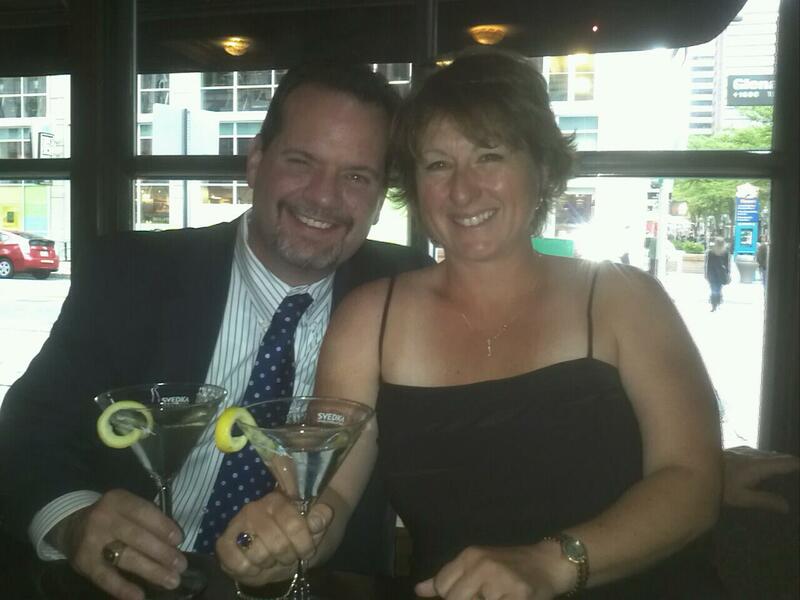 Today – July 1, 2012 – I celebrate my 23rd anniversary to a remarkable woman: Krista Vickery. By the time this post runs, we will be coming home from a Bed & Breakfast getaway in Buena Vista, CO at the Liar’s Lodge. Krista has been my best friend, companion, and #1 confidante for over 25 years. She took a young man who had no belief in the marriage institution – whose father died when he was four years old, but not before that father went through a divorce because his wife wanted to play while he was serving in Vietnam (she subsequently went through four marriages) – and made a believer out of him! She took a young man consumed by hatred, and made him cherish waking up each day and loving her more. I do not deserve the love and blessings I have in my life, yet I have them in great abundance. I may have a Type-A competitive personality, and still want to beat down any obstacles in my path, but I still lay my head on the pillow each night comfortable in the knowledge that this woman loves me unconditionally. And yes, my approach has softened over the years – and I attribute that acquired gentleness to having a good teacher in Krista Vickery. If you are inclined, you can read more about our Love Story in last year’s post: Happy Anniversary – Love of My Life – Krista Vickery. If you are interested in listening to heartfelt, poor guitar playing and singing, watch the video below. It’s the thought that counts, and one of these days I will get Adobe Premier Elements to actually do what I want! Here is my challenge to the readers. I could shout my love for this woman from the mountaintops here in Colorado. However, my audience would be the trees and forest animals. You can help me shout my love to the ends of the earth – via social sharing. I earnestly want people to know that special someone exists for everyone. Focus on sharing each small moment, having a willingness to compromise, laughing often, sharing successes, and leaning on each other during difficult times. You can read a few more of my personal tips in 12 Most Caffeinated Reasons for Coffee Time. You too, can be blessed abundantly. It has been an excellent weekend, Susan. Great couple nights at the Liar’s Lodge Bed and Breakfast in Buena Vista, CO (I uploaded several pics to Instagram)…then seeing Krista enjoy this blog post and serenade video. Brian, Happy Anniversary to you and your beautiful bride. What a wonderful tribute this is. Thank you so much for marking this special day by sharing more of your incredible lady and your life together with us. Your love for Kris and the way you so freely express it is beyond fabulous. When I was reading your posts, my eyes started puddling up. By the time you finished serenading her, I completely lost. Wishing you many, many more decades of laughing, loving and living in joyous harmony and good health.. Though I do not have many items on a bucket list, I have added meeting you and Kris and giving you both giant hugs. The glow of your love for Kris and your family makes me feel good. Glad you liked the post and serenade, Janet. I sure appreciate the comment, and I definitely like that it “struck a chord”. I’ve never thought that Krista and my relationship was “work” – it has always come naturally. Part of the reason is because we love spending time together and making each other laugh. It also helps that we both love our girls to pieces…and playing tennis together ;). I do hope we can all meet some day. Of course that means you need to find your way to Denver – or we need to get back to Hawaii! Either way works for me, so let’s keep those hugs on the bucket list. Congrats on the anniversary, man! And not to shabby on the guitar ;-D.
Thanks, Doug. Put simply, I think we just love celebrating life together. The anniversaries are wonderful, but we start and end each day with each other…and there are generally a lot of smiles and laughter involved (and perhaps a healthy dose of coffee or wine depending upon the time of day ;)). Thanks for the comment on the guitar. I downloaded UltimateTabs on my iPad, so I need to get back to playing. There are a lot of great songs out there, and I love singing. I didn’t say I was good, but I always bring plenty of heart! Brian thanks for sharing. It really is amazing what unconditional love can do! I wish more people got it and understood. Congratulations on your anniversary! Thanks for the kind words, Tanya. It is an unconditional love, but it sure seems easy when it is done right. Laughter and compromise go a long way! Then it seems like even the compromising becomes minimal as you both understand the other viewpoint and naturally find that middle ground before it even becomes an issue. Congrats Brian! I’ve always loved that song and you did a great version of it for Krista. Love seeing couples who have been together a long time and really enjoy it! Thanks, Janice. I sang that song to Krista outside her apartment bedroom window back in the late 80′s. I do not think my guitar playing has improved since. However, I do hope to start practicing more since I downloaded Ultimate Tabs for my iPad. Yes, it has been a fun 25+ years together, and 23 years of marriage. We still make each other smile/laugh daily, and we love spending time together. So sweet! I HATE SWEET…LOL…Congrats Brian and Krista…you’re a bit past 1/3 of the way to my parent’s 66 years of marriage. They’re now gone, but their legacy of loves lives on! BTW, I LOVE that song…which as you well know, was originally done by Randy Travis. It’s beautiful..great choice! Hah…yeah, I do SWEET only as it pertains to Krista. The rest of the time I work on being ornery ;). I do not listen to much country, but I have to admit that Randy Travis had a smooth voice! Krista and I got to see him live…as he was just hitting it big…at AquaFest in Austin. Hopefully, we will get to celebrate 70+ years of marriage together, and I bet we still make each other smile/laugh. Nice to know your parents provided such a great model. We will try to carry the torch forward!